Over time, your clothes will naturally experience a bit of wear and tear. This is especially true of well-loved pieces of clothing you wear often. If one of your favorite pieces gets a stain or rips, you may be tempted to toss it. But before you do, try using some of these easy clothing tips. From stains to tears, these clothes tips will help you solve the most common clothing problems. Many of these tips use simple items that you probably already have around the house. With these solutions, fixing your clothing problem will be a breeze! If your shirt tears or your heel breaks right before you’re about to leave your house, don’t worry—there are plenty of easy ways to fix these clothing issues. If you’re searching for a way to make your favorite pieces of clothing look like new, try using these 35 clothing tips. These tips will help you fix your favorite shoes, shirts, jeans, and more! Do you have a pair of shoes that are just a bit too tight in the toe area? Use a hairdryer to stretch them out! 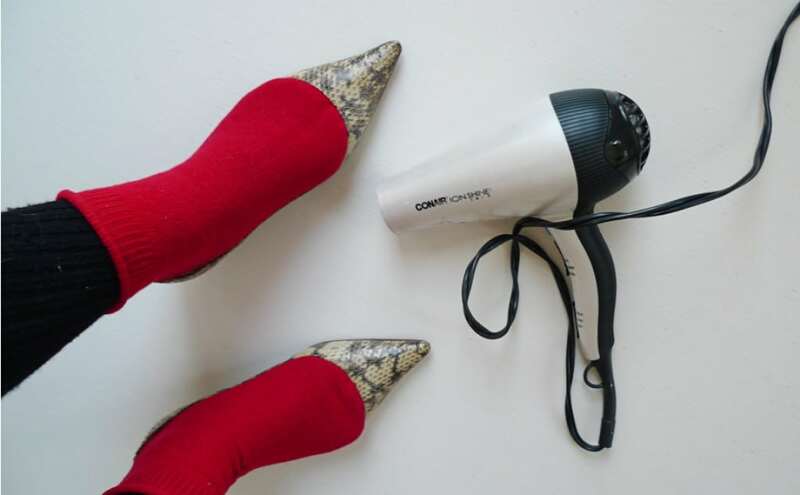 Put on a pair of thick socks and the shoes, and then point the hairdryer at your feet for a minute or two. After the shoes cool down, they should feel nice and loose. It’s always frustrating when a cute pair of shoes is uncomfortable to wear. If a shoe gets too tight, it might end up causing painful blisters. To save your feet from blisters, try spraying some anti-blister spray on your feet. 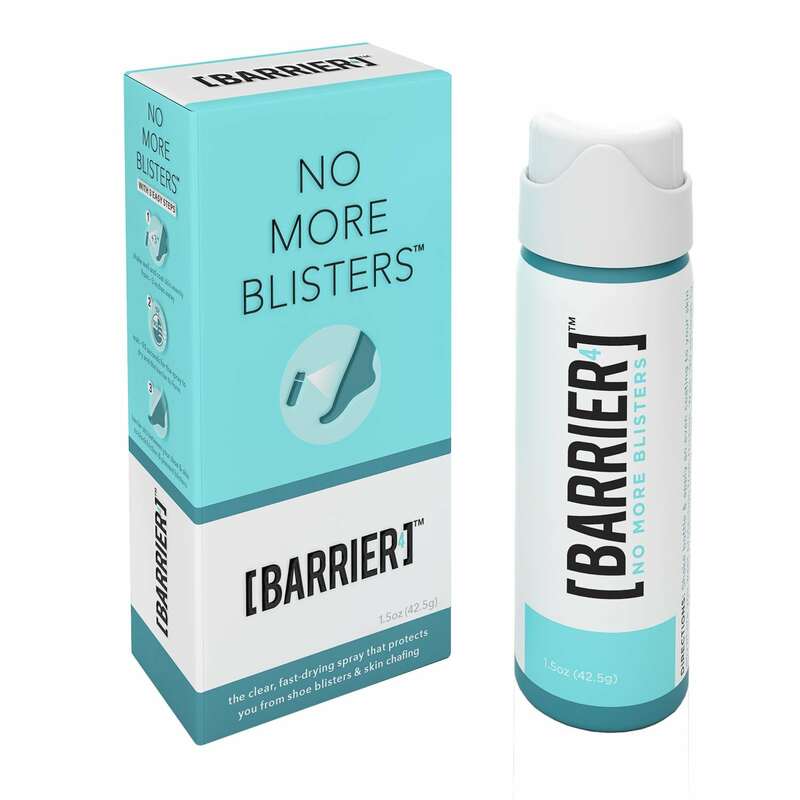 Anti-blister spray will prevent blisters for up to six hours—with this spray, you won’t have to worry about painful shoes ruining your night out. 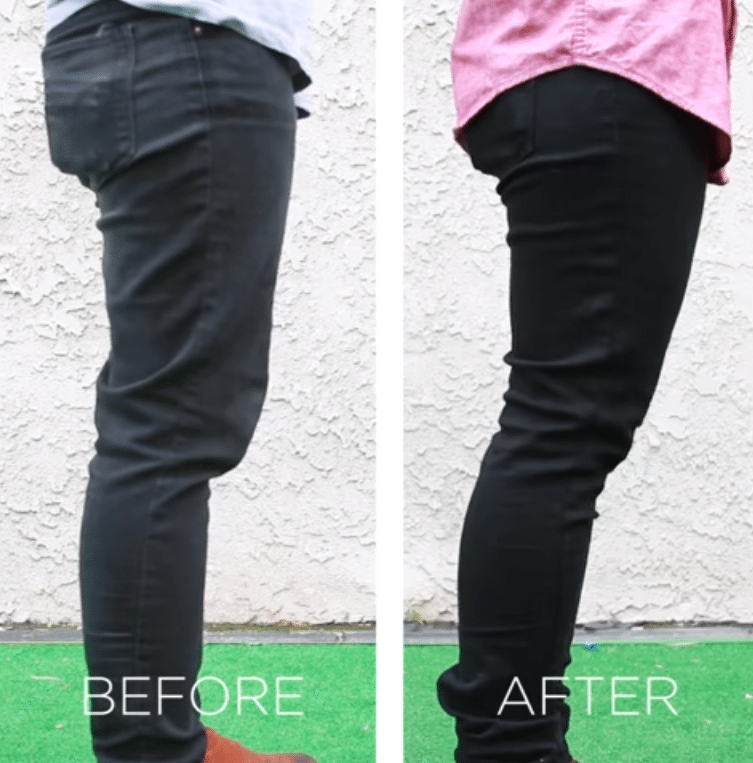 If you wear your black jeans often, you may notice that they’re starting to fade. If this happens, don’t fret—use black dye to bring some life back into your jeans. Pour water, salt, and black dye into a large container, and then put your jeans in. Let them soak for one hour, and then rinse the jeans off until the water in your sink in clear. Then, wash the jeans, and after that, they’ll be ready for you to wear. Noticed some dirt on your suede shoes? Use a nail file to clean it off! You can use a nail file to buff your shoes, removing dirt in no time at all. This simple tip will help your suede shoes look brand new. If you accidentally spill red wine on your clothes, trying using white wine to clean it off. 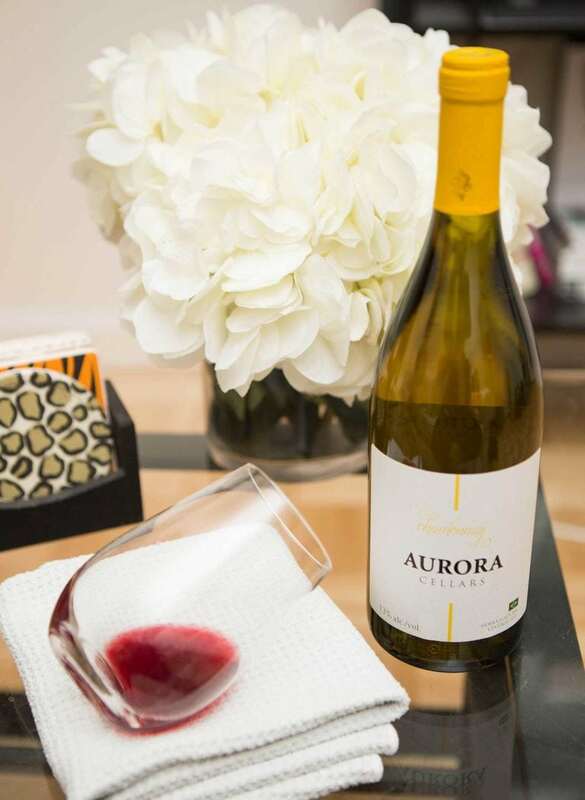 It may sound strange to use one type of wine to clean another type of wine, but it actually works really well. Simply dab white wine onto the stain and let it soak for a few minutes. Then, throw the clothing into your laundry machine. Just like that, your clothes will be stain-free. If you notice you’ve accidentally gotten some foundation on your shirt, try using shaving cream as a pre-treatment before you wash the shirt. Rub the shaving cream in, and then toss the shirt in your washing machine. When the shirt comes out, it should be stain-free. If the hem on your pants tears, try using hem tape to fix it. Hem tape is also a great way to customize the length of your pants. It can also be used to change the hem length on dresses, skirts, and more! Looking for a way to get rid of troublesome yellow underarm stains? 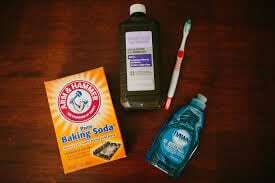 Try using a baking soda, soap, and hydrogen peroxide mixture. Combine one part dish soap and two parts hydrogen peroxide in a bowl. Then, sprinkle a bit of baking soda on the stained part of your shirt. Dip a scrub brush in the hydrogen peroxide-soap mixture, and begin scrubbing at the stain. Soon, your shirt should be stain-free. If you want to protect your favorite suede shoes from the elements, try spraying some Scotchgard. Scotchgard will protect your shoes from getting ruined in the rain or snow. This simple spray can save your shoes from tons of wear and tear. Static cling is never fun, but luckily, there are a few easy ways to reduce it. 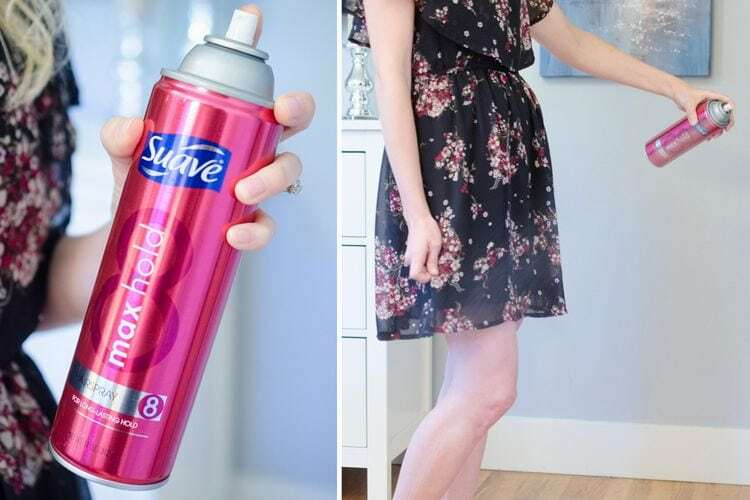 You can try spraying some hairspray on your clothes after they come out of the dryer. You can also reduce static cling by rubbing lotion on your clothes, or you can rub your clothes down with a dryer sheet. These tricks will all stop you from getting an annoying and painful static shock. Is it a snowy, icy day outside? Try tying zip ties around your shoes to give them extra grip. 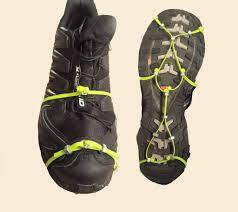 Simply loop the zip tie around the toe part of the shoe, with the fastener facing the ground. The fastener will help give you extra stability as you’re navigating an icy parking lot or sidewalk. Dry cleaning your coats can get expensive, and it can be a hassle to always drag your outfits to the dry cleaner. 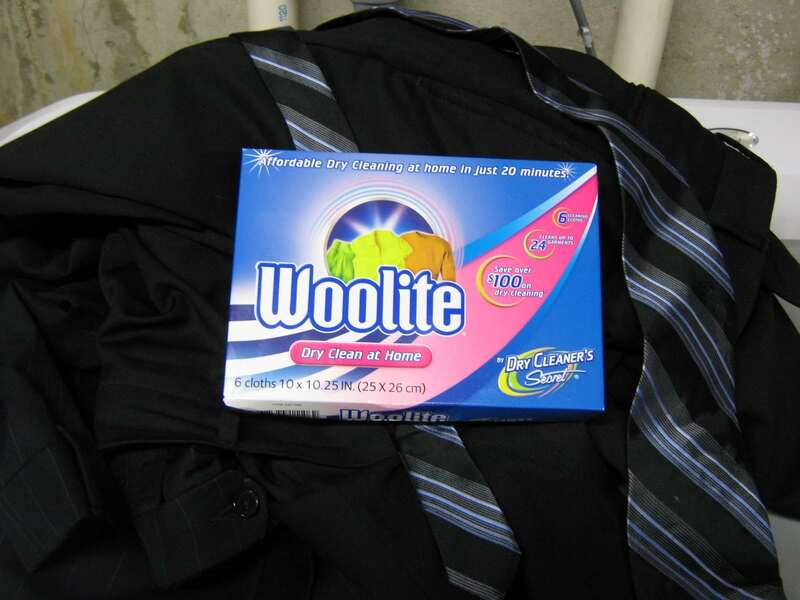 Instead of bringing your dirty coat to a dry cleaner, try using a Woolite cloth when you’re drying your coats. 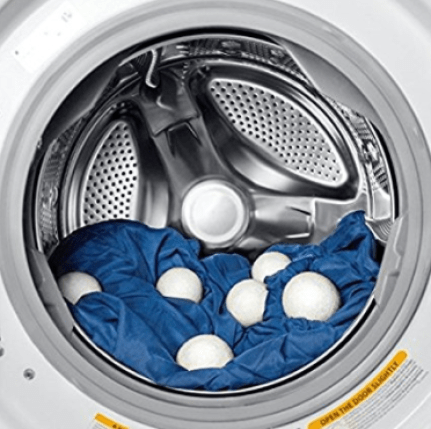 If you use Woolite cloths in your dryer, your coats will come out sparkling and clean. When you’re wearing a black shirt, it’s easy to accidentally get deodorant marks on it. 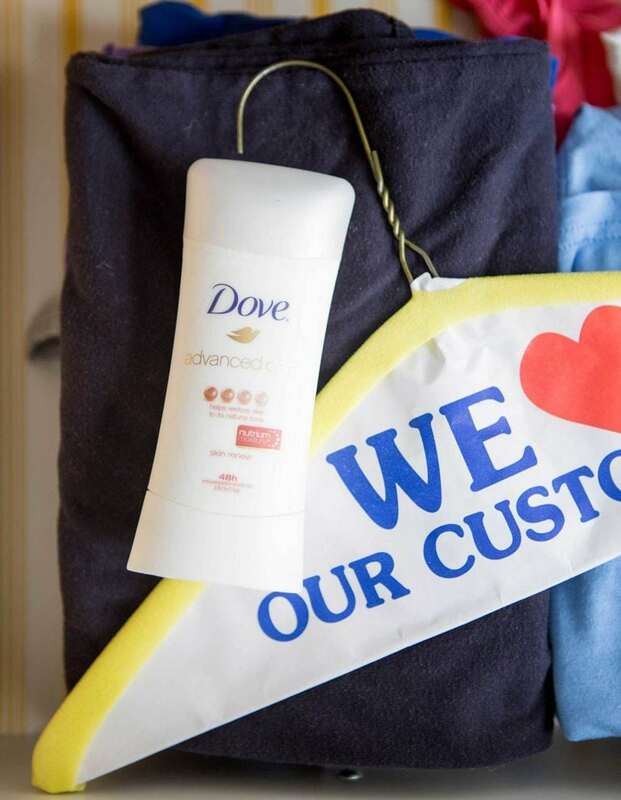 If you notice a deodorant mark on your shirt, try using the foam cover from a dry cleaner hanger. Simply rub the foam on the mark, and it should come right out. Do you have fuzz on your outfit? Use a fabric shaver to get all the fuzz out! This handy tool has a metal guard that prevents the blades from shredding your clothes. 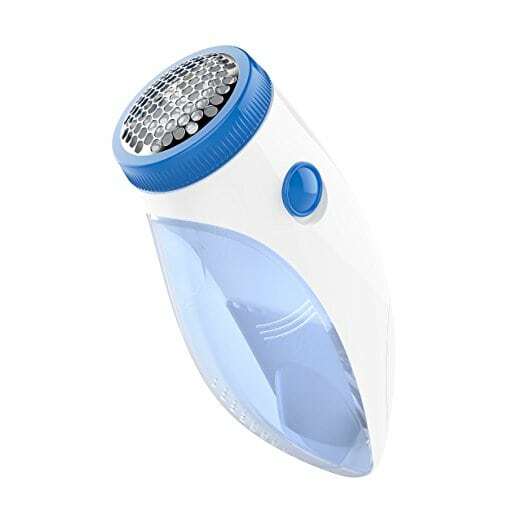 The fabric shaver is lightweight, making it easy to travel with, and it will make your old clothes look brand new. Are your sunglasses feeling a bit loose? Use some clear nail polish to tighten them up. 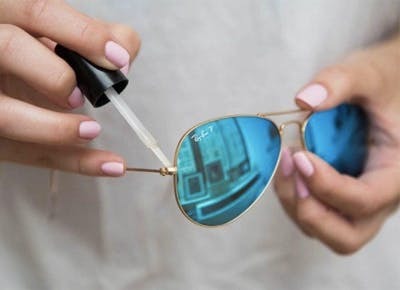 Place a dab of clear nail polish on the sunglasses’ hinges. Once the nail polish dries, the sunglasses should be good as new. If your jacket zipper gets stuck, try fixing it with some wax paper. When you rub a bit of wax paper on a sticky zipper, it will help the zipper move smoothly. This household item can save you from tons of frustration. Noticed a hole in the seam of your shirt? Use some permanent fabric glue to easily close the hole. 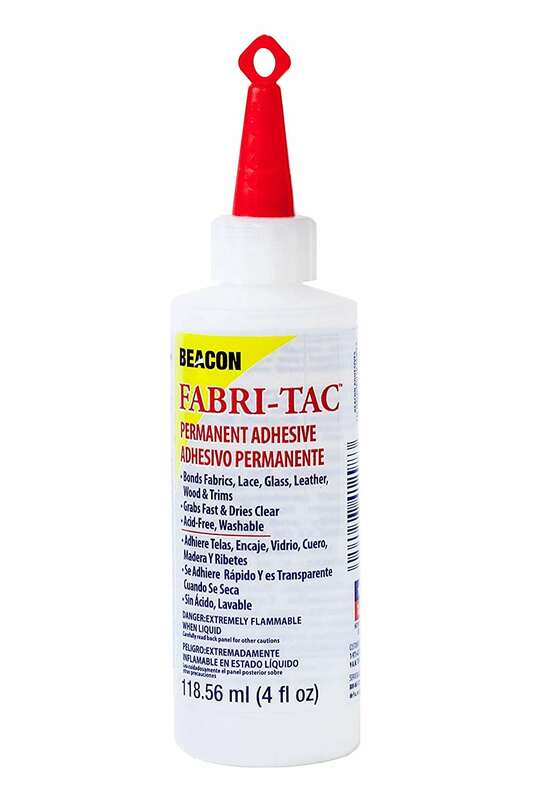 This glue dries quickly, and it won’t stain your clothing. If you’re looking for a way to change up your wardrobe without breaking your budget, try changing the buttons on your jeans and jackets. There are tons of great button sets available online, and these buttons all feature unique engravings. These new buttons will help add more personality to your clothes! If the top of your shirt is too loose, try securing it with some double-sided fabric tape. 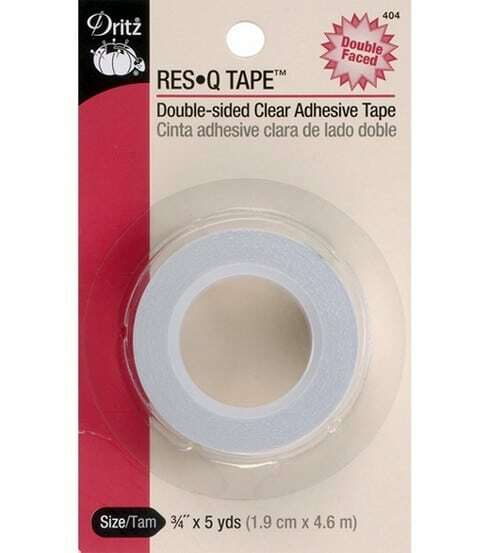 This tape will help secure the neckline of your shirt, preventing any wardrobe malfunctions. This tape is a great choice for anybody who always feels like their shirt is too loose on top. Worried that the cute new dress you bought is too low-cut for the office? Try wearing a plain white t-shirt under the dress. This new trend is the perfect choice for anyone who’s looking to avoid a wardrobe malfunction at work. When the button falls off your jeans, you may think that you’ll have to throw them out. 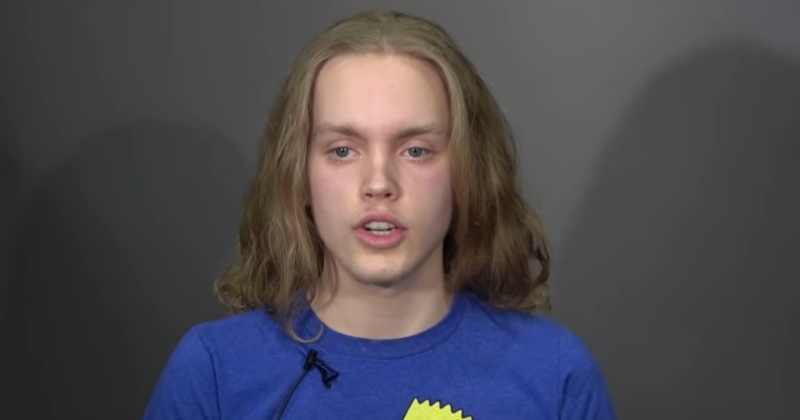 But there’s an easy solution for this problem: a button replacement kit. Order one of these kits online, and follow the instructions for how to sew on your replacement button. Soon, your jeans will look good as new! When you take out a garment from your closet you don’t wear too often, you may notice it has a musty smell. 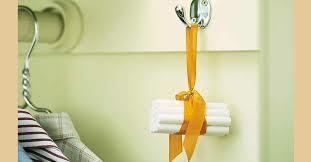 To keep all your clothes smelling fresh, try hanging a bag of chalk in your closet. Chalk absorbs moisture and odors, keeping your clothes fresh. 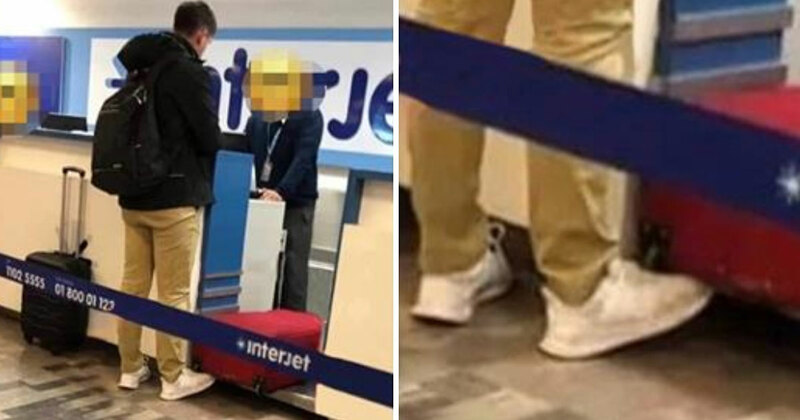 Sneakers are most peoples’ go-to shoes for outdoor activities, and because of that, the bottoms and sides of the shoes will inevitably get very dirty. 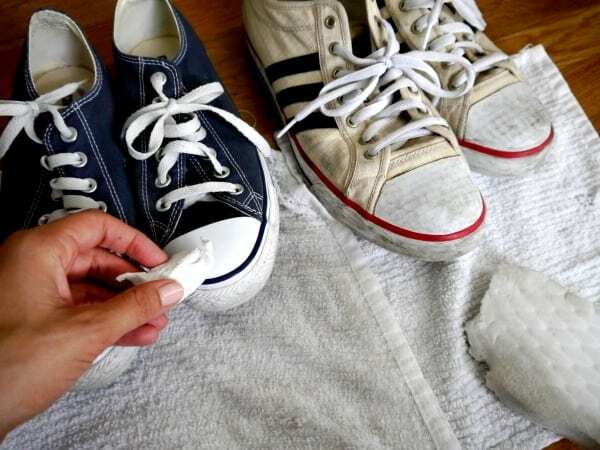 To quickly get the dirt off the hard surfaces on your sneakers, use a Magic Eraser. This handy cleaning tool will make all your sneakers look brand new. Ironing is a chore almost everyone dreads—it’s difficult to work on an ironing board, and it can take a long time to get the creases out of your clothes. 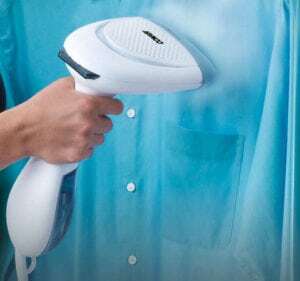 To make ironing easier, try using a handheld fabric steamer. Thisv inexpensiveness tool is easy to use, and it makes getting the wrinkles out of your clothes a breeze. Got a stuck zipper on your jacket? Some petroleum jelly should quickly unstick it! Place a bit of petroleum jelly on a cotton swab, and dab it on the zipper. After a few moments, the zipper should unstick itself. 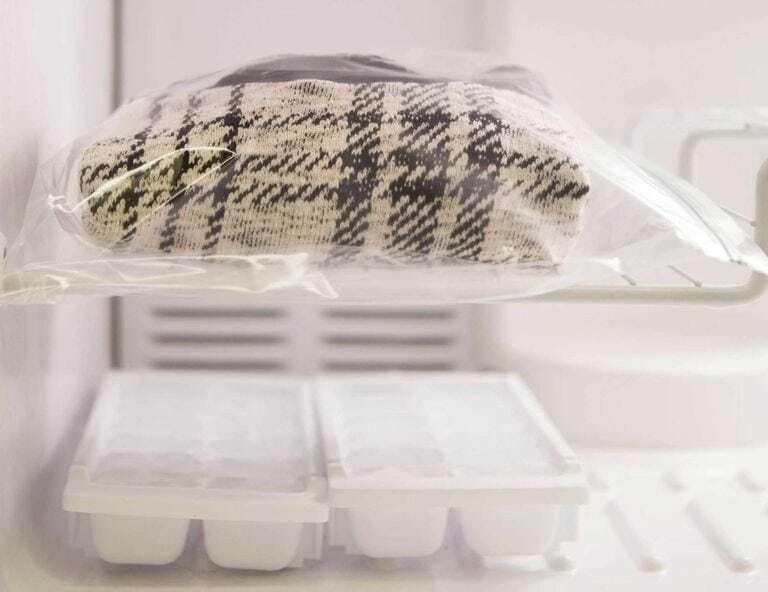 If you notice one of your cashmere or wool sweaters is starting to shed everywhere, try sticking it in the freezer overnight. When you wear it the next day, it should shed must less than before. This simple trick will add years of life to your sweater. If you get a bleach, food, or toothpaste stain on your favorite black cotton shirt, there’s a simple way to fix this: use a black Sharpie! Simply color in the stain, and just like that, it will magically disappear. This tip is a great way to save your favorite casual black t-shirt. It’s always frustrating when you notice a scuff on your nice leather shoes. Luckily, there’s an easy way to remove these scuffs: a banana peel. 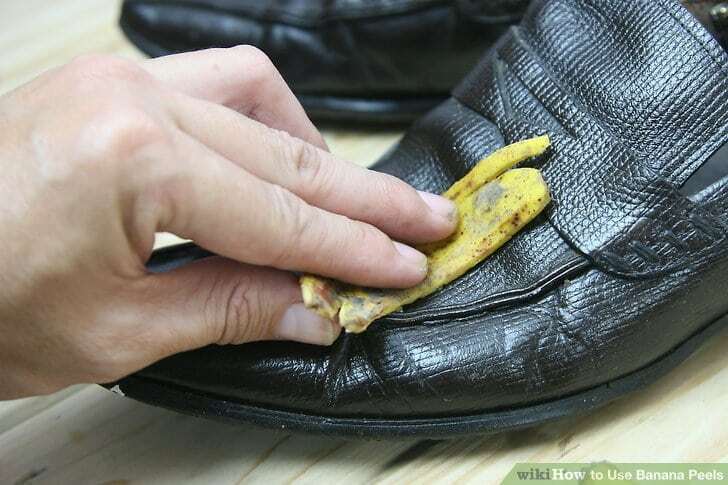 Rub the banana peel on the scuffs, and watch them disappear! Tights will often get runs after a few wears. If you notice a run starting in your tights, try painting clear nail polish over it. Clear nail polish will stop a run in its tracks, saving your tights. To prevent more runs from happening, you can also try spraying your tights with hairspray. Got a stain on your favorite suede shoes? A simple piece of stale bread crust will get that stain right out! Stale bread crust is tough enough to buff out the stain. It’s also a great way to get more use out of a loaf of bread that’s gone stale. When you’re out and about, your heel may sometime break, or the bottom of your shoe may disconnect with the top of your shoe. 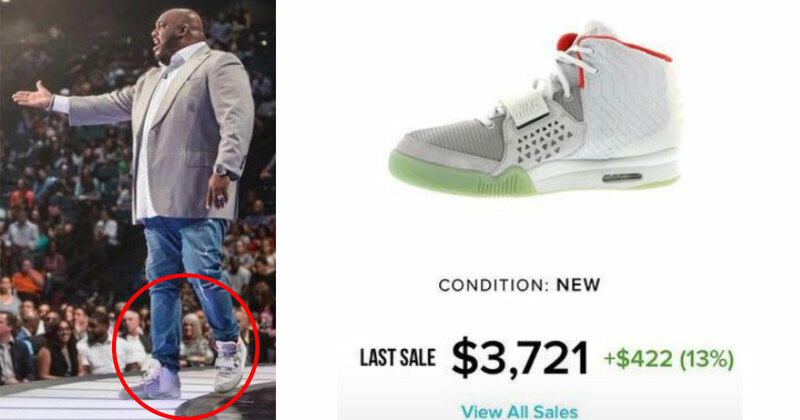 To prevent this issue from becoming a shoe emergency, keep some superglue on hand. 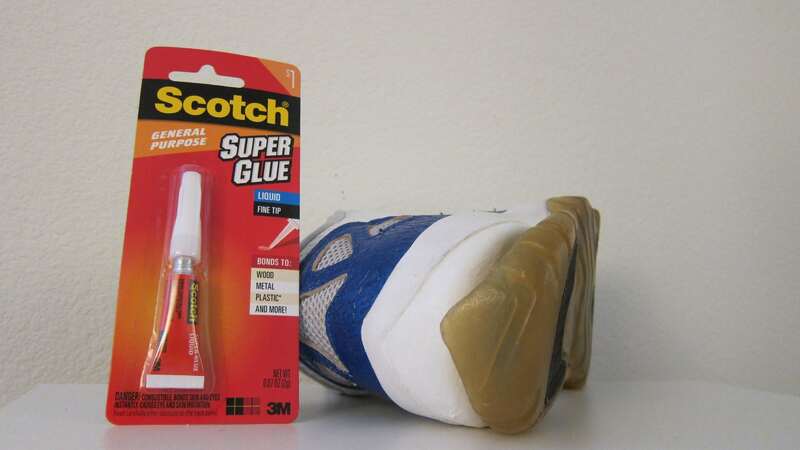 Use your superglue to quickly fix your shoe—once the superglue dries, the shoe will look like new! Instead of using fabric softener in the wash, try using some wool balls instead. Wool balls will help fluff up your clothes, and they prevent wrinkles. Plus, they also reduce drying time. These simple wool balls are a great tool to use on laundry day. 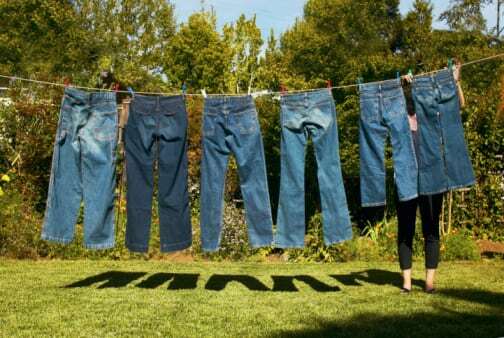 Jeans will often get faded after multiple washings. To keep your jeans from fading as much, try washing them inside out. When you do this, your jeans will look like new for a much longer period of time. Got a loose button on your dress shirt? Don’t break out the sewing kit just yet—try using a bit of clear nail polish instead. Put a dab of clear nail polish on the loose threads, and let it dry. Just like that, your button will be nice and secure. 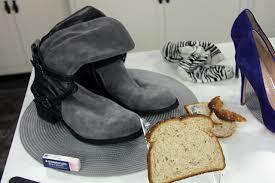 If your new shoes have slippery soles, try attaching adhesive bandages to the bottoms of the shoes. These bandages will add traction to your shoes. Bandages are a great, easy solution for shoes that just won’t stop slipping! Loose buttons, tears, stains, and other common clothing problems can be a nuisance. Luckily, there are many easy ways to fix these issues. These solutions to common clothing problems will help keep your clothes looking fresh for so much longer than before!